Metal additive manufacturing (AM) processes are in the midst of their maturation process. These processes stemmed from a race to print metals from the launchpad of the rapid prototyping technology boom in late 20thcentury. The resultant metal AM machines are increasingly pulling part share from more conventional manufacturing processes. These processes, however, do not represent a manufacturing panacea. Each reveals its own set of deficiencies, from both process-inherent limitations to remnant gaps from the rapid development and deployment cycle. The global research community, manufacturing institutes, and equipment manufacturers are actively researching and innovating to close these gaps. This presentation provides an overview of the efforts taking place at EWI to advance metal AM technology. Topics include the makeup of the AM team at EWI, the Additive Manufacturing Consortium, and short overviews on active research efforts in as-built surface finish optimization, custom scan strategies, in-process monitoring and control, AM microstructure evolution, post-process inspection, and machine calibration. 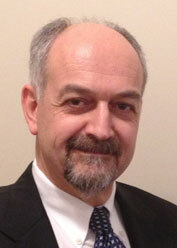 Paul Boulware leads EWI’s research and development efforts in process sensing and control of metal additive processes. He played a leadership role in the design and fabrication of EWI’s open architecture L-PBF test bed and manages a portfolio of quality control projects on this unique system and other metal additive systems throughout the institute. In addition to his additive manufacturing experience, he has developed numerous custom hardware and software solutions for monitoring and controlling all aspects of materials joining processes. Additive Manufacturing (AM) provides the agility needed to rapidly make innovative customized complex products and replacement parts that are not realizable by traditional manufacturing technologies or are required to be produced in low volumes. Several technical barriers exist, however, that prevent AM processes from reaching their full potential. The recent roadmapping activities for AM outline research recommendations in several areas to advance the industry and emphasize that the ability to achieve predictable and repeatable operations is critical. The issues with surface quality, part accuracy, fabrication speed, material properties, and computational requirements are significant barriers to and/or limitations for widespread implementation of AM processes. To mitigate these challenges, NIST program focuses on the problems associated with AM material characterization, real-time control of AM processes, qualification methodologies and system integration for AM. This presentation will summarize some metrology solutions for AM machines/feedstock materials, AM processes, and AM parts towards overcoming the challenges. Alkan Donmez, Ph.D., is currently a Group Leader of Production Systems Group as well as the Program Manager for Measurement Science for Additive Manufacturing program in the NIST Engineering Laboratory. He has been with NIST for more than 30 years conducting and supervising research in advanced manufacturing sciences including machine tool performance modeling and metrology, machining process metrology as well as the recent efforts in metal-based additive manufacturing (AM). He has actively participated in the national and international standard committees, developing machine tool performance testing standards, for more than 20 years. He has co-authored more than 100 technical papers and reports in the areas of machine tool metrology, precision manufacturing, and additive manufacturing. Donmez has received various awards for his technical contributions, including R&D100, Applied Research Award of NIST, and Department of Commerce Silver and Bronze Medals. He is an Associate Member of the International Academy of Production Engineering (CIRP). He serves as the Vice-Chair of the Scientific and Technical Committee on Precision Engineering and Metrology (STC-P) of CIRP. He is an Associate Editor of CIRP Journal of Manufacturing Science and Technology and a Section Editor of CIRPedia, CIRP Encyclopedia of Production Engineering. The Kansas City National Security Campus has been investigating the fundamental science of metal additive manufacturing through independent research and collaborative efforts with our university partners. These research tasks are grouped into five broad categories: powder characterization, material property characterization methods, temperature effects on material properties, controlling microstructure and mechanical properties, and chemistry tailored for additive manufacturing. This investigation into the fundamental performance of additively manufactured materials—and the comparison against their conventional counterparts—is vital to building the KCNSC knowledge library. Through the identification of these differences, we are adjusting our technical focus, developing strategies on overcoming gaps, and managing identified risks. Research into these topics help advance our understanding of the complex processing/microstructure/performance relationships critical to achieving a more thorough understanding of the technology and driving the broader acceptance of additive manufacturing across the nuclear security enterprise. Phong Du, Ph.D., is the Staff Engineer for metal additive manufacturing at the Kansas City National Security Campus focused on qualifying the emerging technology for broad national security applications. Previously, he worked at DuPont in Central Research and Development and Kapton® production. He holds a Ph.D. in Materials Science and Engineering from Cornell University and a Bachelor of Science in Applied Mathematics and Physics from the University of California, Los Angeles. Additive manufacturing has been a catalyst for growth at Navajo Technical University and has taken a 1-year certificate degree in Computer-Aided Drafting to the first Tribal College/University (TCU) to become a candidate for ABET accreditation in engineering. Additive manufacturing has become the cornerstone for fostering hands on learning at NTU because of its dichotomy of ease of use and the myriad of factors that affect the quality of prints and its versitility. NTU uses AM as a tool for 3D modeling techniques, inspection, .stl quality and process capability, material testing, material characterization and research. H. Scott Halliday has been teaching and working at NTU in Crownpoint, New Mexico on the Navajo Nation since 2003 and has seen the University grow from an enrollment of ~300 to nearly 2,000 today. Halliday has been instrumental in the creation of the first 4-year programs in Digital Manufacturing, now Advanced Manufacturing, as well as the soon to be accredited Industrial and Electrical Engineering. He currently runs the Fabrication Lab at NTU, which hosts equipment to support the STEM programs that include: inspection equipment (CMM, CT Scanning, laser scanning, white light scanning), polymer based additive manufacturing equipment, material testing equipment, and some machining capabilities. 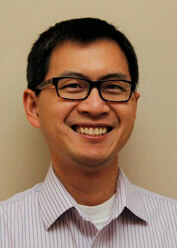 He currently conducts research with 12 interns in the Lab primarily in lattice structure and light-weighting of parts. Chief technology officer of The Boeing Company and senior vice president of Boeing Engineering, Test & Technology. Materials engineering and manufacturing technology are two technical disciplines that are critical to aerospace. Aircraft must withstand an expansive range of harsh operating environments, and the production of these large, complex vehicles requires enormous investment. That’s why the aerospace industry is a leader in the use of additive manufacturing, which is helping companies improve their productivity and workplace safety, as well as enhance the quality and capabilities of their products. In this address, Dr. Greg Hyslop, chief technology officer of The Boeing Company, the world’s largest aerospace firm, explains how additive manufacturing has strengthened the company’s products and operations. 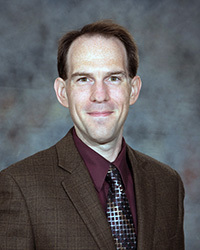 Greg Hyslop oversees the development and implementation of the enterprise technology investment strategy, and his responsibilities include the company-wide Boeing Engineering function; Boeing Research & Technology (BR&T), the company’s advanced central research and development organization; and Boeing Test & Evaluation (BT&E), the team that verifies and validates Boeing’s commercial and defense products. In his role leading the Engineering function, with more than 50,000 engineers worldwide, Hyslop partners with the Engineering leaders for Boeing business units to ensure One Boeing solutions that support programs across the enterprise. He reports to Boeing Chairman, President and CEO Dennis Muilenburg and is a member of the company’s Executive Council. Previously, Hyslop was vice president and general manager of BR&T, leading a team of nearly 4,000 engineers, scientists, technicians and technologists. Prior to his BR&T role, Hyslop served as vice president and general manager of Boeing Strategic Missile & Defense Systems (SM&DS) for four years. Hyslop is a member of the Aeronautics Committee of the NASA Advisory Council. He has also been named an Associate Fellow of the American Institute of Aeronautics and Astronautics (AIAA) and is a member of the Board of Trustees of the AIAA Foundation. He received his B.S. degree in Electrical Engineering and a M.S. in Mathematics from the University of Nebraska-Lincoln, and a D.S. from Washington University in St. Louis. America Makes is the nation’s leading and collaborative partner in additive manufacturing technology research, discovery, creation, and innovation. Structured as a public-private partnership, we innovate and accelerate additive manufacturing to increase our nation’s global manufacturing competitiveness. The America Makes’ mission is to accelerate the transition of manufacturing technology from our nation's laboratories and universities to industry. It is critical that we stay connected to the basic research community as it is an important feeder system for the Institute’s subsequent applied research projects. Additionally, part of our mission is to educate and socialize research and development efforts with our industry partners and technology developers so that research can transition and have economic and social impacts. This will only be accomplished with a coordinated and collaborative effort among the basic and applied research communities. Smart collaboration will strengthen development and maturation while establishing a robust American Additive Manufacturing ecosystem. This briefing will provide insight into the America Makes roadmapping efforts, identified technology gaps while explaining our coordinated approach to research and development. 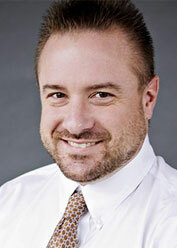 Shawn Nesmith joined the NCDMM in April 2005 and has more than 23 years’ experience in the manufacturing industry. 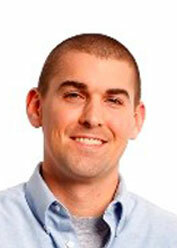 He is highly skilled in project management and has a very diverse project background. During his tenure, he has been responsible for many of NCDMM’s advanced manufacturing and America Makes additive manufacturing projects. Shawn was part of the Naval Propulsion Shaft Cycle Reduction Project Team that won the 2008 Defense Manufacturing Excellence Award at DMC. 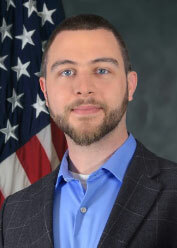 Nesmith has worked on numerous projects including the Measurement Science Innovation Program for Additive Manufacturing (MSAM) for NIST, the M228 Practice Grenade Confidence Clip Automation with Blue Grass Army Depot (BGAD) and the U.S. Army Armament Research, Development and Engineering Center (ARDEC), and the Consortium for Advanced Hybrid Manufacturing Integrated Technologies (CAM-IT) with Youngstown State University (YSU). 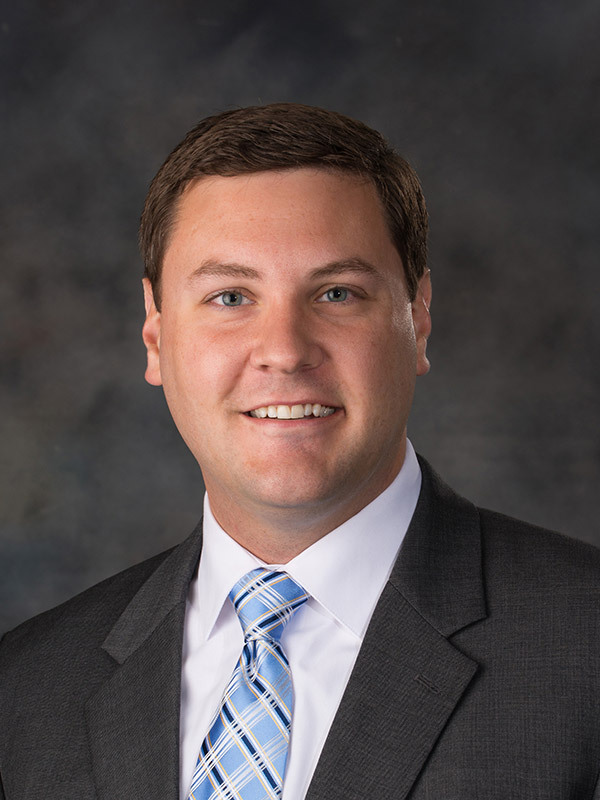 He currently serves as Secretary for the America Makes Hybrid Manufacturing Working Group and is the Design swimlane lead for the America Makes Road Map Advisory Group (RMAG). This talk concerns the following research question in the context of Additive Manufacturing (AM) of metal parts: how to overcome the existing poor quality of AM parts through inprocess monitoring and prognosis? The answer to this question is rooted in a paradigm called qualify-as-you-build that relies on information synthesis and decision-making based on the high volume, variety and velocity of data acquired by sensors built into an AM machine — an answer that has all the hallmarks and challenges of a Big Data problem. For example, the problem involves detecting porosity in AM parts as they are being built using signals from infrared, high-speed imaging, and photodetector sensors. The combined data volume acquired from these sensors will fill a typical hard drive within about 20 layers. This is a scenario wherein existing statistical machine learning approaches are rather limited owing to their computational tortuosity. An approach to overcome this Big Data challenge in AM is through a newer signal analysis and modeling that allow data from different sensors to be analyzed simultaneously and quickly. The efficacy of this graph theoretic approach is demonstrated based on data generated and shared by collaborators at NIST, Penn State, and Edison Welding Institute. Prahalada Rao is an assistant professor in the Mechanical and Materials Engineering Department at University of Nebraska-Lincoln. His research focuses on sensor-based monitoring of complex systems, e.g., additive manufacturing, ultraprecision nanomanufacturing, and neurophysiology. He earned the 2017 Society of Manufacturing Engineers, Yoram Koren Outstanding Young Manufacturing Engineer Award, and has published over 25 peer-reviewed publications in flagship journals (including two best paper awards). His research has attracted three grants from the National Science Foundation (NSF) in the last four years, including the NSF CAREER award in 2018 for sensor-based monitoring and control of metal additive manufacturing processes. Prahalad earned his B.Tech degree in 2003 specializing in Production Engineering (First Class) from Victoria Jubilee Technical Institute (VJTI), Bombay University, India. He received his M.S. and Ph.D. degrees in Industrial Engineering from Oklahoma State University in 2006 and 2013. Prior to joining the University of Nebraska-Lincoln, he held the position of assistant professor (2014-2016), System Science and Industrial Engineering (SSIE), Binghamton University. There has been increasing complexity in both additive manufacturing processes themselves (e.g. scan path planning, systems with multiple independent sources, and multiple heating modes) as well as the component geometries to which they are being applied. Fundamental questions about how these details combine to produce heterogeneity in local processing state, and therefore structure, will be addressed.Fast acting models and analytics procedures to assess and screen thermal history will be described. Potential applications for such capabilities include process-structure-property correlation development, processing equivalency testing, and potentially process design. Additionally, we will describe a series of experimental activities and associated processing-to-structure modeling prediction to challenge problems being performed within the Materials Informed Digital Design Demonstration for Additive Structures (MIDAS) program. Edwin Schwalbach is responsible for performing in-house research and monitoring several exteral projectes dealing with metallic additive manufacturing technologies. He is a member of the Material and Manufacturing Directorate’s Additive Manufacturing Integrated Product Team. His background is in computational materials science, specifically development of microstructure evolution models. 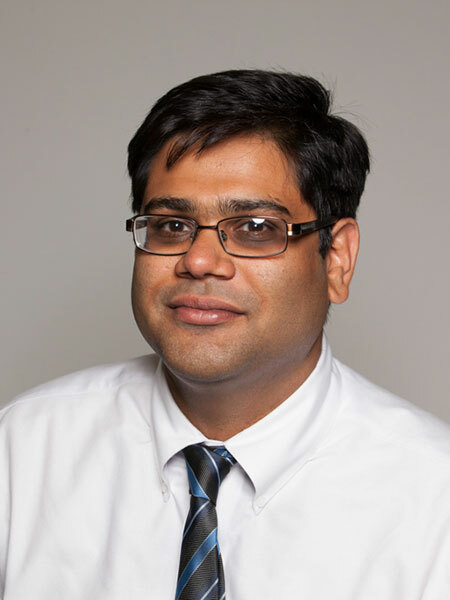 His current research is focused on metallic additive manufacturing technologies for aerospace applications including powder bed fusion and directed energy deposition processes. Research efforts focus on the development and analysis of highly pedigreed process data to evaluate and ultimately improve a range of metallic additive manufacturing technologies and related process models. His research collaborations extend both internally across the Materials and Manufacturing Directorate and externally with organizations such as Oak Ridge National Laboratory. My research focuses on the interdisciplinary areas of medical device manufacturing, hybrid additive manufacturing, and process sustainability. This seminar will focus on my research thrust in biodegradable medical device manufacturing as well as the current limitations to be addressed by hybrid additive manufacturing. The critical problem with current orthopedic implants made of titanium, stainless steel, or cobalt alloys is that they are permanent and often have a high complication rate that requires removal with a secondary surgery. Secondary surgeries are costly and place undue suffering on patients. One major cause of complications is stress shielding. An alternative material that avoids stress shielding is biodegradable magnesium alloys. The technical challenge is to slow magnesium’s degradation to a suitable rate for orthopedic applications. That is, how can we maintain strength of our device while simultaneously degrading? I developed a method to use surface treatments that allows magnesium implants to serve their function and then degrade away at a controlled rate. This revolutionary approach means patients no longer have to rely on off-theshelf technology when it comes to treating their fracture. In today’s talk, I will discuss the interrelationships between process, property, and performance. I will also discuss the limitations of the current approach that can be solved with hybrid additive manufacturing. 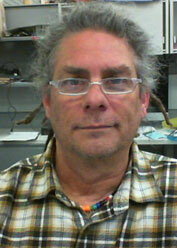 Michael Sealy is an assistant professor at the University of Nebraska-Lincoln. His primary research field is in advance manufacturing. He investigates the role manufacturing processes have on process signature, surface integrity, and functional performance. He is currently investigating coupling additive manufacturing with surface treatment technology and machining to print and qualify functional 3D material properties for aerospace, biomedical and automotive applications. He has taught manufacturing methods and processes, additive manufacturing, and medical device manufacturing for 10-plus years. 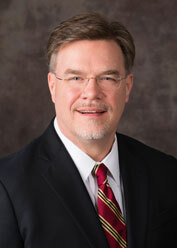 He is leading efforts at UNL in the development of a $2M+ hybrid additive manufacturing facility. Sealy received his Ph.D. in 2014 and B.S. in 2008 in Mechanical Engineering from the University of Alabama (UA) in Tuscaloosa. He served as a postdoctoral scholar at the Consortium of Surface Integrity and Functionality at UA while commercializing his research on controlled degradation of metals. He is the president and founder of Surface Integrity LLC, a med-tech startup developing the next generation of biodegradable orthopedic implants. He has made significant contributions to the fields of manufacturing, medical devices, and sustainability. He received the prestigious NSF International Research and Education in Engineering (IREE) Fellowship to explore manufacturing research in China as a visiting scholar (2010). He is also the recipient of numerous research awards, including 2nd Place at the MRS International iMatSci Competition (2014), Mechanical Engineering Graduate Student of the Year by the Alabama Society of Professional Engineers (2011), NAMRI/SME Outstanding Paper Award (2009), Pi Tau Sigma Outstanding Graduate Student in UA/ME (2009 & 2010), and Randal Outstanding Undergraduate Research Award at UA (2008). 3D printing in general, and metal 3D printing in particular, are rare in structural engineering. This presentation will briefly summarize applications to establish the present state of the art for metal 3D printing in structures. Extreme event protection is an as-yet unexplored application for metal 3D printing. Seismic mitigation has historically sought to preserve occupant life safety by sacrificing the structure. Strategically identified structural elements (columns, beams, braces, walls) were designed to absorb seismic energy with permanent deformations. Even when successful, a codecompliant structure can be non-functional after an extreme event, potentially even requiring demolition and reconstruction. Recent research in structural extreme event mitigation has focused on resilience – the capability to absorb a shock and quickly recover to pre-event functionality. Metal 3D printing presents an opportunity to configure elements of a structure so that direct losses (damage requiring repair or replacement) are reduced and indirect losses (lost functionality and productivity) are largely avoided by re-centering the structure. Favorable structural system outcomes can be achieved by configuring printed structural components to exhibit strategic nonlinear, effectively hyperelastic regimes. Josh Steelman is an assistant professor in the Department of Civil Engineering, specializing in Structural Engineering. His research at UNL focuses on enhancing bridge service lives and increasing load carrying capacity, using risk and structural reliability, nonlinear structural system analysis, and machine learning. His research also includes extreme event protection, primarily focusing on earthquake hazards. He earned a bachelor’s degree in Civil Engineering from the University of Tennessee, Knoxville in 2001, then worked as a structural engineering architectural consultant in Huntsville, Alabama until 2005. He attended the University of Illinois at Urbana-Champaign until 2013, earning his Master’s and Doctorate. His graduate work included two main projects: regional seismic impact assessments for Memphis and Shelby County, Tennessee, and use of non-seismic elastomeric expansion bearings to provide quasi-isolated seismic protection for bridges in Illinois.